Choosing from the many places to visit in Thailand can be daunting, particularly if you only have a short time in the country. There's a reason why Thailand draws over 20 million international visitors a year: the country has a lot to offer! 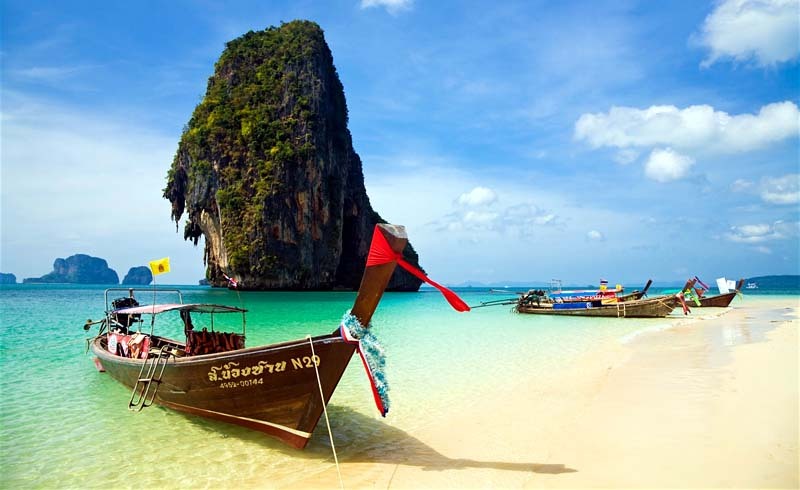 Oh, and Thailand can be a very affordable destination. Use this list of popular destinations in Thailand to start building an itinerary for a dream trip to Southeast Asia's easiest country to travel. The little riverside village of Pai was a sleepy refuge for "hippies" only a short while ago. 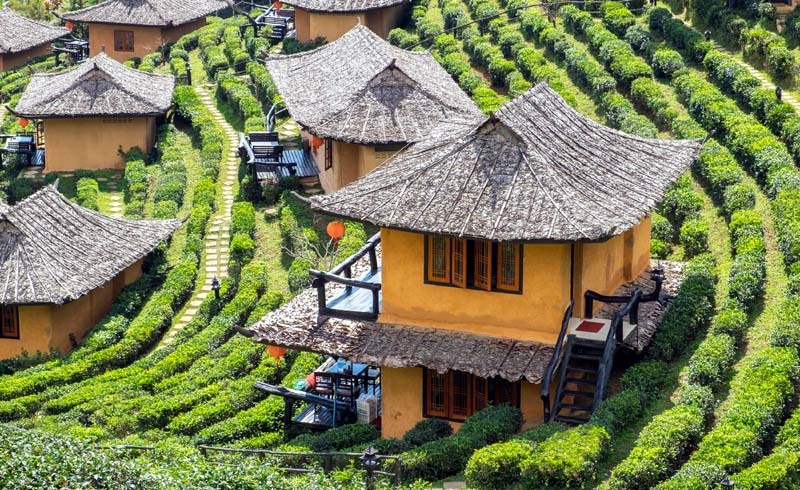 Today, Pai is thriving with tourism, but some of the old hippie health culture remains. Surrounded by mountains and green scenery, Pai enjoys fresher air than Chiang Mai, and life moves slower than in the big city. Oddly enough, nightlife for backpackers is better in Pai than in Chiang Mai! If you're experienced enough, grab a motorbike in Chiang Mai, point it north, and enjoy a beautiful drive to Pai. 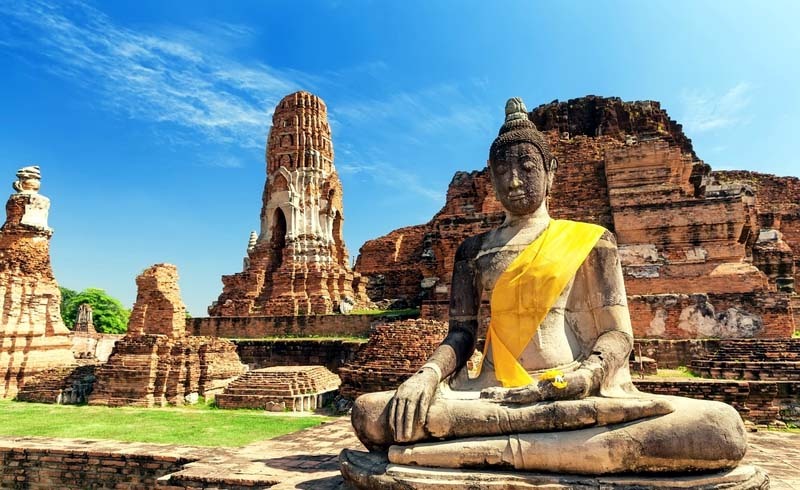 Located only a short, two-hour train ride away from Bangkok, Ayutthaya was the ancient capital of Siam for 417 years before it was sacked by Burmese invaders and later moved to Bangkok. Initially founded in 1350, Ayutthaya was declared a UNESCO World Heritage Site because of the numerous temple ruins scattered throughout the modern city. Loaded with archeology, Ayutthaya is probably the closest thing to an Angkor Wat that can be found in Thailand. 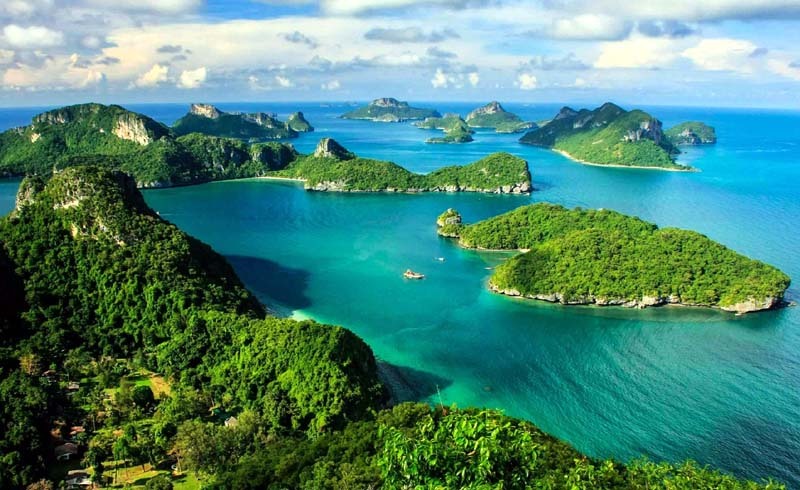 Thailand is blessed with gorgeous islands of all sizes and temperaments in both the Andaman Sea (west side) and in the Gulf of Thailand. Although islands aren't technically the best place for real cultural interaction — or cheap shopping — they're a requisite addition to any vacation in Thailand. But save the islands for last: once there you won't want to go anywhere else! Located in the very northwest corner of Thailand near the border of Burma (Myanmar), Mae Hong Son is a fairly quiet town mostly still off the tourist radar. 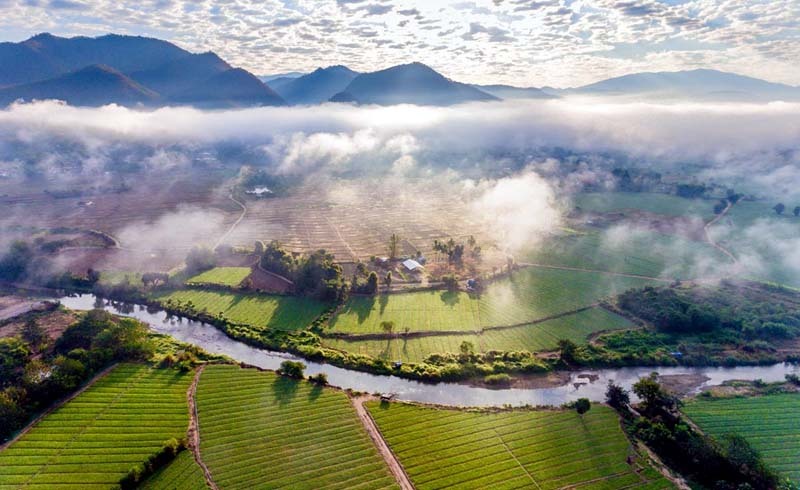 As Pai — located south of Mae Hong Son on Route 1095 — grows larger, Mae Hong Son becomes more of a popular alternative for travelers who want to escape the crowds. 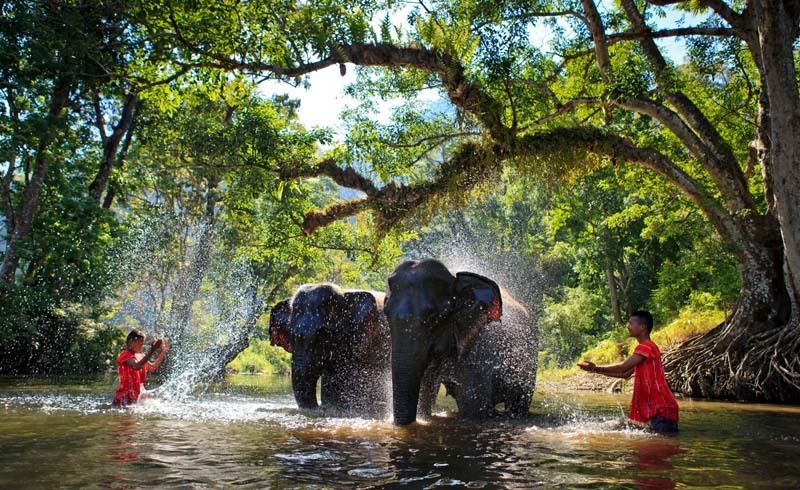 The residents of Mae Hong Son are genuine and happy to show you around their green province. 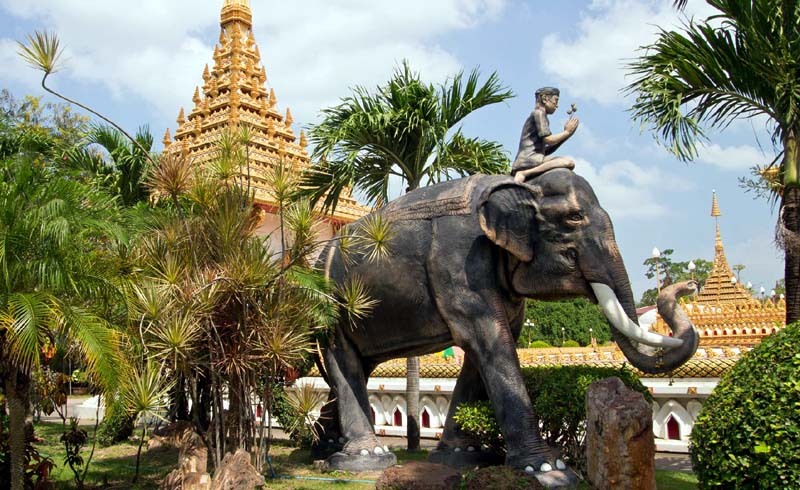 Isaan is a region consisting of 20 provinces in the very northeast of Thailand along the borders with Cambodia and Laos. Although Isaan is the largest region in Thailand, tourism has yet to strike hard there as it has elsewhere in Thailand. Visitors to Isaan can still enjoy meeting locals who are happy to see visitors. The local Isaan dialect is actually a derivative of the Lao language rather than Thai, although it is still written using the Thai alphabet. Isaan is home to delicious dishes that are distinct from other famous Thai foods. Dishes are more often enjoyed with sticky rice (khao niaow). 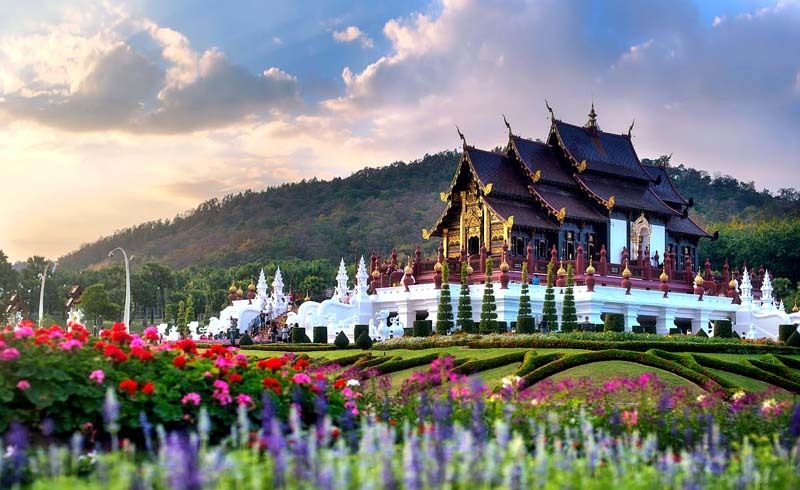 Chiang Rai, located just northeast of Chiang Mai, is an increasingly popular alternative to Chiang Mai for travelers interested in a little more Thai culture and fewer tourists. 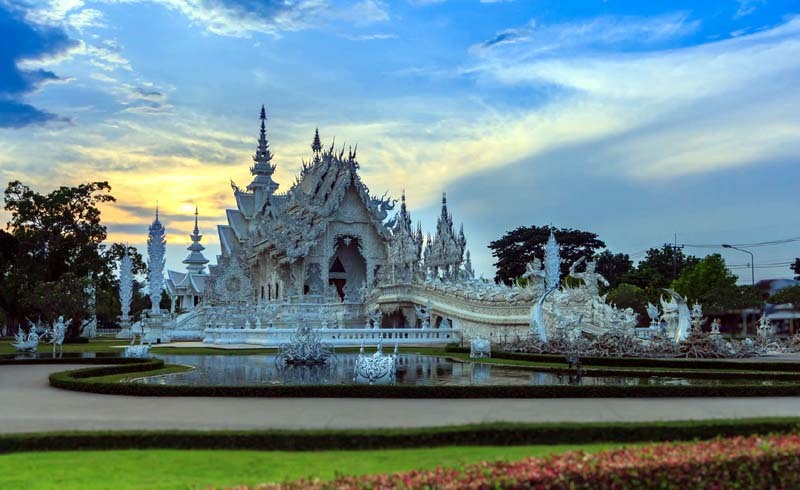 Although Chiang Rai has its share of tourists and resident expats, numerous temples, museums, markets, and cultural centers offer a more genuine peek at Northern Thailand culture. 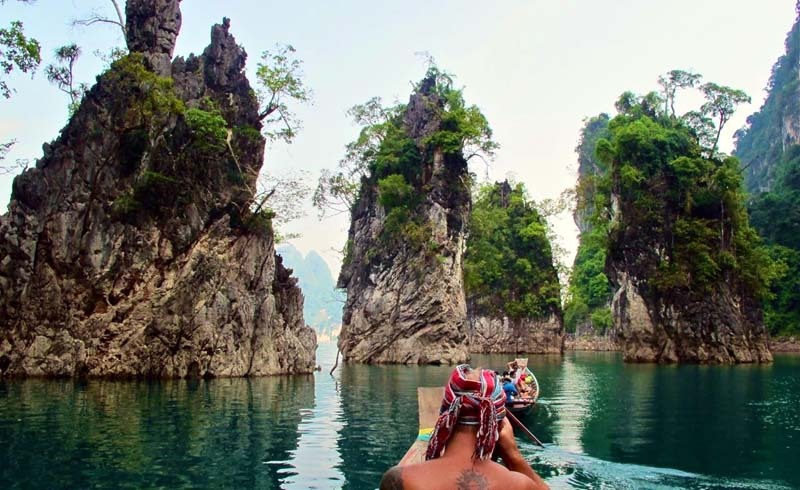 Although not the largest or oldest of the national parks in Thailand, Khao Sok is a memorable favorite for many visitors. Officially declared the 22nd national park in Thailand on December 22, 1980, Khao Sok is a 739-square-kilometer nature refuge in the south of Thailand. The park is famous for floating bungalows and the picturesque lake. With a little luck and timing, you may even catch a rare Rafflesia — the heaviest flower on earth — in bloom. 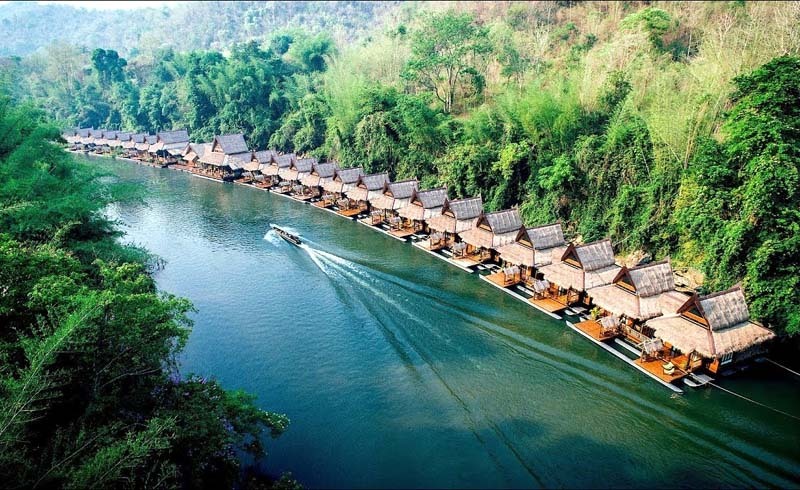 Located only two hours by bus from Bangkok and set on the famous River Kwai, Kanchanaburi is a great place to escape from the hustle in Bangkok. Kanchanaburi has lots of World War II history. It's the home to the most famous bridge constructed as part of the "Death Railway" intended to connect Bangkok and Rangoon (now Yangon). The bridge was made famous in the movie, The Bridge Over the River Kwai, inspired by the novel. Numerous museums and beautiful national parks with swimming under waterfalls make Kanchanaburi a hit with war history buffs and backpackers. Although technically not an island, Railay feels like one. Surrounded by mountains and only accessible by small boat, Railay in Krabi is a major rock climbing destination in Southeast Asia. 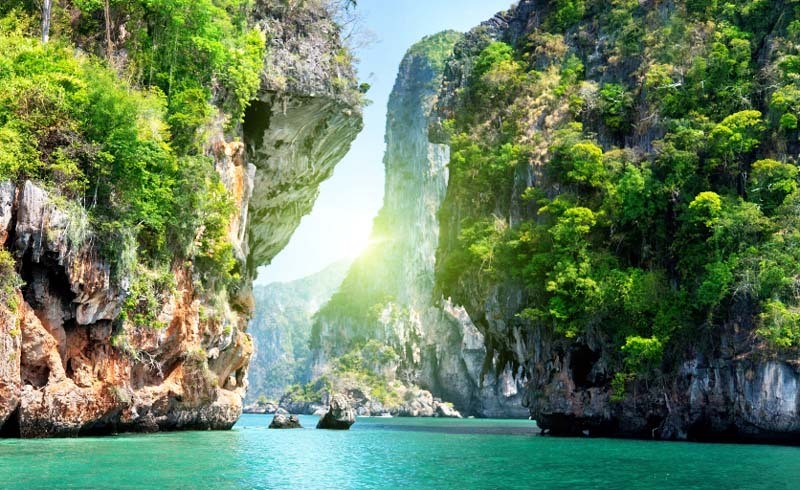 Even if you prefer to keep your feet on the ground, the limestone cliffs jutting from blue water provide unforgettable scenery often featured on Thailand postcards. Although still busy with traffic, Thailand's northern capital has a completely different vibe than Bangkok. Slightly cooler weather from the green hills and plenty of tourist activities keep visitors coming in growing numbers. A large community of entrepreneurs and artists have chosen to call Chiang Mai home, invariably attracted to that vibe and friendliness felt in the north. Try to visit Chiang Mai on a weekend to take advantage of the walking street markets; each is held in a separate place on Saturday and Sunday. The nightlife in Chiang Mai isn't nearly as rambunctious as that in Bangkok or the islands, but there are options. Getting to Chiang Mai from Bangkok is easy. Take the train if you have time to enjoy the countryside, otherwise, grab a cheap flight from NokAir.